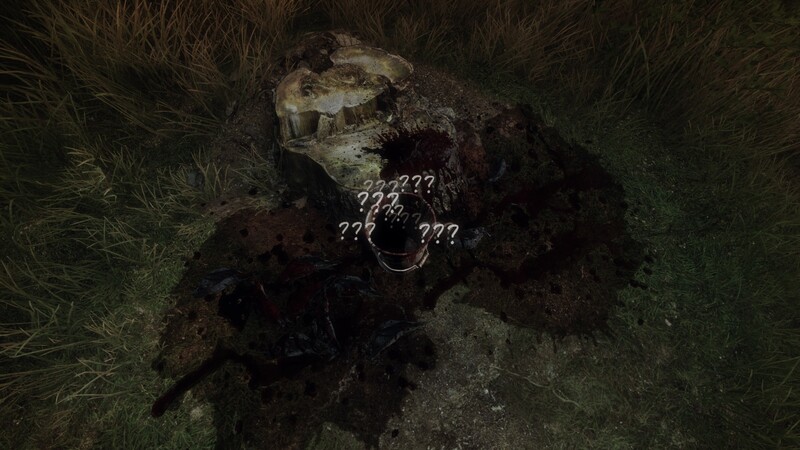 Today we’ll be looking at The Vanishing of Ethan Carter, a first person investigative narrative which I didn’t know a thing about until my staff suggested we take a look at it, and now I feel ashamed that I hadn’t been eagerly anticipating it. When the first environment shot makes me want to snap a screenshot, you did something right. The Vanishing is gorgeous, plain and simple. Built upon the Unreal Engine I suppose that shouldn’t come as a surprise, but the devs certainly did their due diligence to layer on every ounce of detail they could. When I play a game for review or preview, I always have it in the back of my head that I should be looking for scenes that really pop so I can take a screenshot. I seriously found myself reaching for the screenshot button every few seconds. Sun filtering down through the pines, a glorious view of a river valley, an ancient and decaying train station. Everything you run into in this game is nothing short of a work of art. Notably, the UI of the game is almost non-existent. There is no health to keep track of, no inventory to shuffle. Interactive items don’t get the obligatory “halo of come-click-on-this” that other games include. The best you can hope for is a word popping up in the environment when you get near enough to something. This can be a strength and a weakness, as frequently you’ll need to find an item and little to nothing is done to make that item stand out. Frequently you aren’t even sure what you’re looking for, just that you’re looking for something. For a certain type of player, this can easily become frustrating. Well if YOU don’t know, how am I supposed to know? Most of the eye candy is environmental, though here and there you’ll find a character or creature. In my opinion these weren’t quite to the same level of quality as the environment. Early in the game you’ll also find two homes that are almost identical on the inside. Yes, this is a tiny thing, but in a game where even different sections of the forest are subtly distinct from one another a pair of indistinguishable homes somewhat stood out to me. Gameplay could easily be a sticking point for some. The game introduces itself with a warning of sorts, informing you that it is an interactive narrative and it will not hold your hand. What this translates to is absolutely no prompting from the game whatsoever. There is no journal to remind you of what you’ve learned. You don’t have a map to help you find your way. Yes there are puzzles, but you are never informed what the puzzle is or what needs to be done to solve it. Often you won’t even notice there is a puzzle for a few minutes. The Vanishing has a run key, but do yourself a favor and don’t press it. You need to move slowly, and to pay attention. You will be doing a lot of careful exploration. 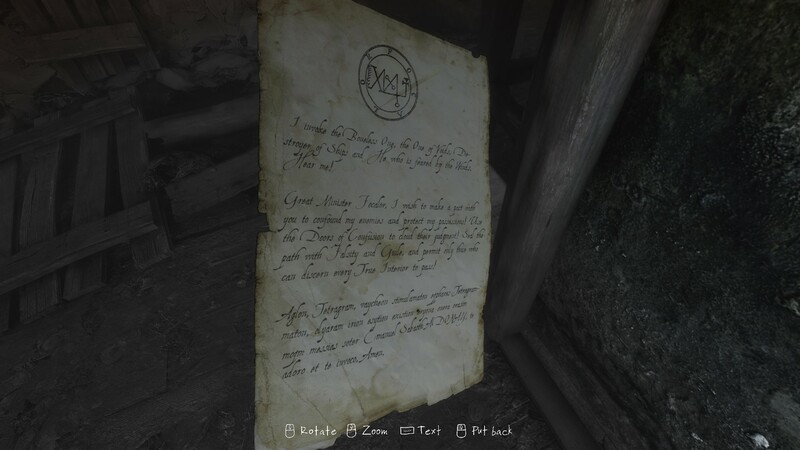 The game does a superb job of subtly guiding you toward where you need to go with natural paths and spoken clues, but I think I can count on one hand the number of times the game actually gave a direct hint of what to do or where to go. There is literally a time in the game where you have to find a rock. A specific rock. In a forest. Yes, it can be frustrating. But it is also quite rewarding when you spot what you’re looking for and get to it. Make sure you read every piece of paper. Seriously. Every one. Though most of the puzzles in the game are unique, there is a repeating game mechanic. You are a paranormal investigator named Paul Prospero, and you have a second sight of sorts. You can see the events surrounding a murder by touching the deceased, but only if the crime scene is precisely as it was before the murder took place. This means if the murder weapon was moved, you need to put it where they found it, etc. Once things are in place, you will conjure up a handful of scenes surrounding the murder, which you will then need to put in chronological order. This usually done by looking at clues—what this character is holding, which characters are in the scene, etc. It isn’t too hard to do with trial and error, though. If you have the dedication to really scour the landscape and do your investigation properly the game should unfold for you quickly. (I beat it in a day.) If you don’t keep your eyes peeled, it’ll take a fair bit longer, and you’ll find yourself doing some major backtracking toward the end. The game allows you to do what will eventually be the primary goals of the game in almost any order, which is a curse if you didn’t know they were there or didn’t bother to explore them on the first trip. The one thing about this game that really gave me trouble was the lack of an evident save feature. I ended up relying on autosaves, which happen only after significant events or scene changes, so you can’t just pop in and out of the game… not that a game of this depth and complexity would really lend itself to short play sessions anyway. Music and dialogue are scarce and–here’s that word again–subtle. At times you know you’re getting near something important because the intensity of the music picks up, but the rest of the time it blends in as it should. The voice acting is of a high enough quality to suit the atmosphere and deliver what few speeches there are with sufficient drama and impact. I… really can’t tell you. Anything beyond the premise will give away too much. Let’s just say you’re Paul Prospero, paranormal detective who walks the line between worlds. You’ve come to town to find a boy named Ethan who has gone missing, and based on his letters, he knows far more about the arcane lines between this reality and the next than a little boy (or anyone else) should. 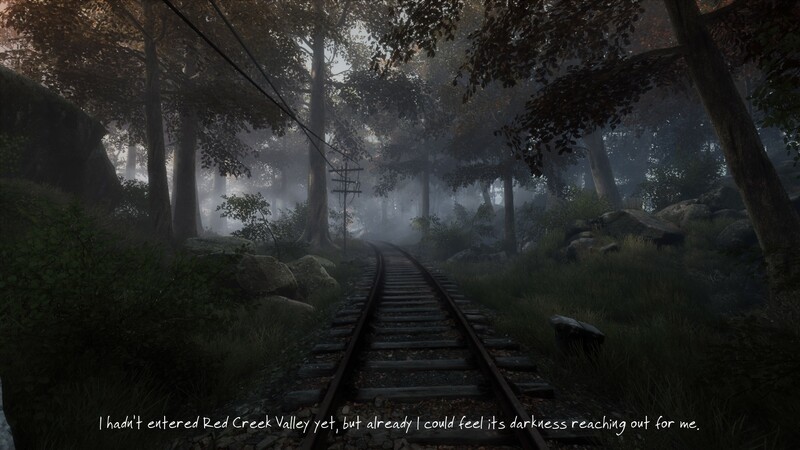 The Vanishing of Ethan Carter is as subtle and intense a game as I’ve ever played. Think of the game Myst. It’s very much like that. And I don’t know if this happened to you, but when I played Myst, I felt this incredible tension, as though at any moment something would burst out from around the corner or the roof would crumble on top of me, even though I knew it wasn’t possible. This game delivered that tension with the added level of not knowing if, like in Myst, I was actually safe or not. The result was Myst with a heavy dose of Silent Hill, and one of the top five horror games I’ve played in terms of pure atmosphere. 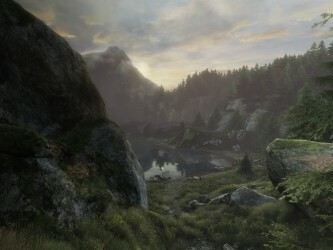 9.5 / 10: The Vanishing of Ethan Carter is a triumph in presentation and atmosphere, and if you can get past the purposeful lack of guidance, you’re in for a fantastic narrative experience.